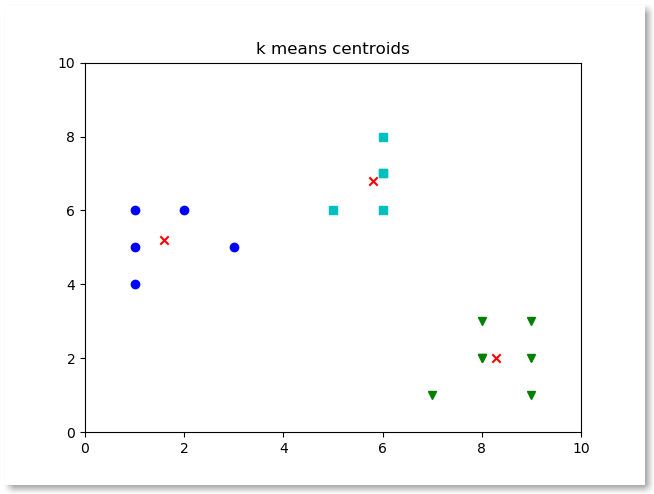 The KMeans clustering algorithm can be used to cluster observed data automatically. All of its centroids are stored in the attribute cluster_centers. In this article we’ll show you how to plot the centroids. We can plot the cluster centroids using the code below.